Aseptika Limited (Activ8rlives), developers of a range of self-monitoring medical devices, some in the form of wearable technologies, aimed at assisting patients to self-manage long-term health conditions at home, is already having impact in this field. The early identification via home self-monitoring of an impending change in condition may allow for earlier intervention by starting antibiotics (“rescue pack”) days earlier, thereby reducing the need for lengthy hospitalisation. Aseptika and Renfrew Group International (RGi) have been working together on the development of the Activ8rlives BuddyWOTCH™.This solution will provide “expert” pathways for use by both patient/carers and the healthcare team to inform, manage and report the success of self-care plans so that patients can remain independent at home, with a better quality and more sustainable model of care. Such solutions must be truly wearable, comfortable, ergonomic, attractive, and suitable for use with minimal training by consumers, often age-related. 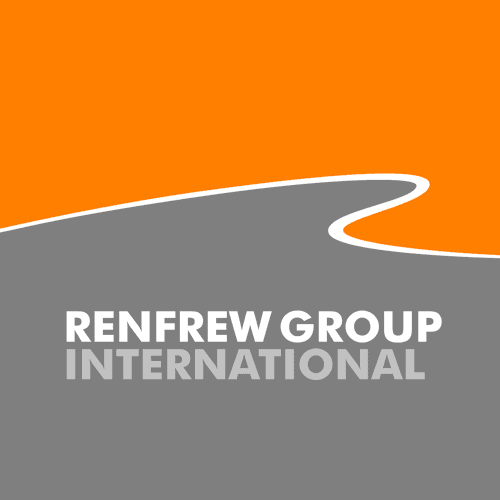 Achieving this whilst developing the packaging design, mechanical engineering and design for production has been the Renfrew Group team’s priority. 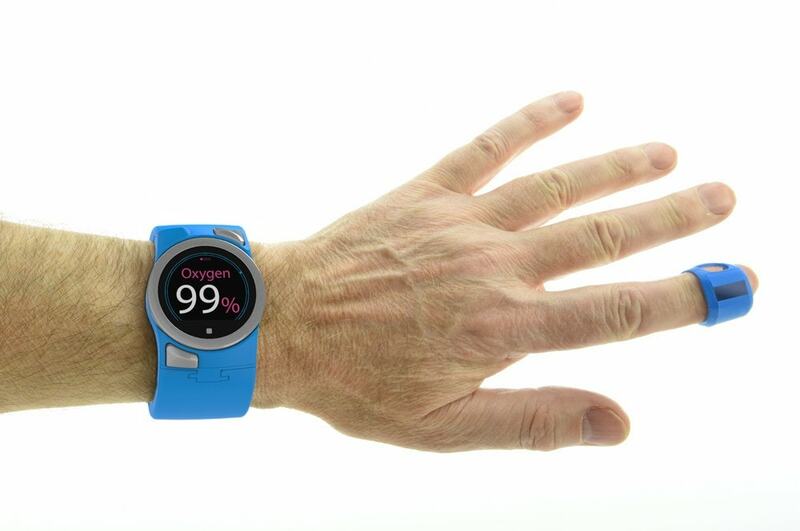 The BuddyWOTCH project (Pictured), funded under the SBRI Healthcare programme, is for the development of a wearable health monitor Class 2 Medical Device. 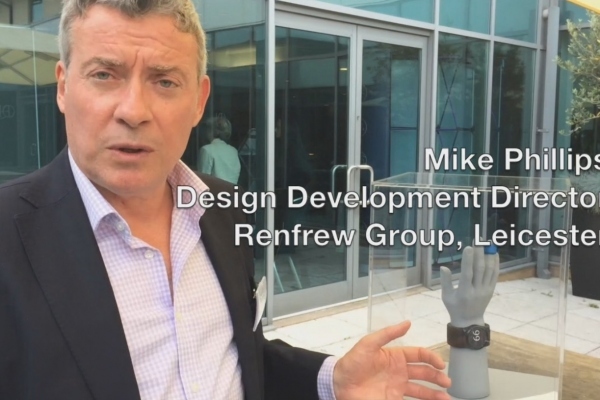 It comprises a wrist-worn smartwatch – “WOTCH” = Walking, Oxygenation, Temperature, Camera (image capture of medication, food and liquids) and Heartrate; a fingertip-worn sensing band for measuring blood oxygen – FingerBand SpO2; and a charging base – BaseStation. Together, they form the BuddyWOTCH. Each element of the product system requires certifiable electronics and software, and RGi have created an innovative mechanical design tooling and moulding package. This fully integrated medical sensing and recording system requires custom design in order to achieve medical device certification. Many other smartwatches are available but their short product lifetime and often inadequate design controls make it difficult for the manufacturers to achieve or maintain certification. 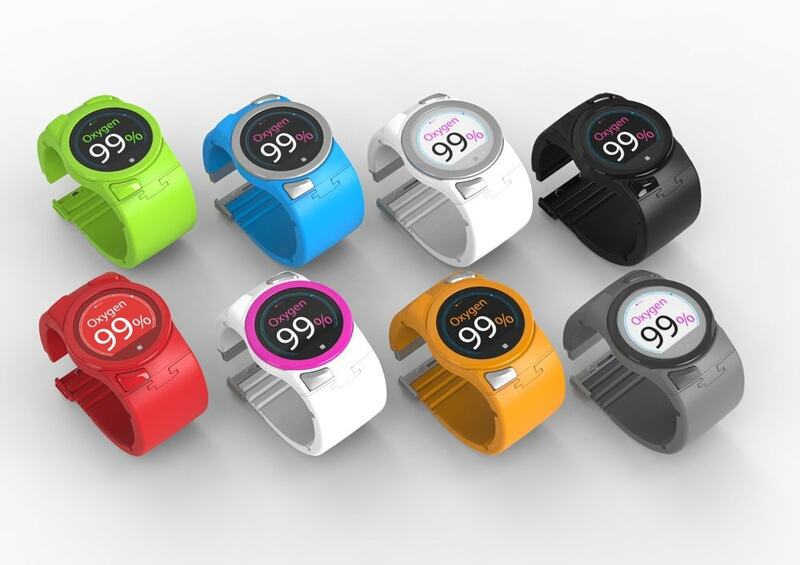 The BuddyWOTCH development is challenging because of fundamental difficulty in accurately measuring dissolved oxygen levels when moving in daily life, the need for the devices to be miniaturised, have 99.5% wearability, stylish and comfortable for rest-of-life-wear, and the challenge of packaging a 24/7 Always Connected monitoring system into a smartwatch format. Aseptika (Activ8rlives) has recently been awarded a place in the list of the Global Digital Health 100 List for 2015 (second year in a row). The Global Digital Health 100 represents 6 months of analysis by the editorial and advisory team at The Journal of mHealth, who consider the offerings and innovations from companies across the global digital health ecosystem, prior to selecting the final 100. The compilation of this year’s 100 companies list has been achieved through a combination of nominations and industry research dedicated to identifying the most innovative and effective global companies operating in the mobile, digital and connected healthcare industries.